Fleetwood Mac News: 7 NEW Canadian Dates Announced For STEVIE NICKS 'In Your Dreams" Rock Doc! 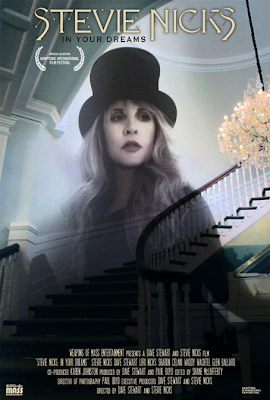 7 NEW Canadian Dates Announced For STEVIE NICKS 'In Your Dreams" Rock Doc! Western Canada will see 'In Your Dreams' in Theatres beginning with Toronto April 15, running through June in Montreal. Montreal tickets are on sale now! Also, a second theatre has been added for New York City at The Chelsea on April 2nd. Visit the In Your Dreams Movie website for a complete list of dates and theatres.